A due date for filing income tax return is nearby (31st Aug, 2018), you must be ready with all documents required for filing income tax return. Preparing and Filing an Income Tax return is a simple task, provided you are a salaried person and filing ITR1. However, for the people who want to file ITR2, ITR3 or ITR4 it is not so easy to prepare and file income tax return. Every year new changes are introduced, and income tax forms are becoming relative complicated. Many people take help from CA’s, TRP and advocate when it comes to preparing income tax return and filing. Another easiest way to get help in Income Tax return filing from websites. 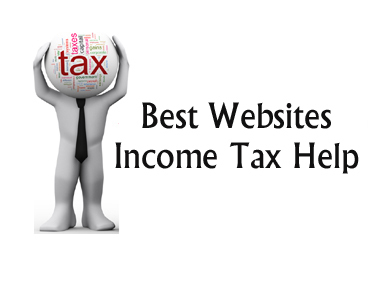 Here are few reputable websites to get help in Income tax return filing. ClearTax offers Free and Easiest way of Filing Income Tax Return. It is leading ITR e-filing website in India. The key features of this website and offered benefits are given below. No manual data entry required. You need to upload your Form 16 and Import Form 26AS. The website reads it and helps you in filing income tax return. The website automatically selects the correct ITR while you fill in your information. You can schedule a call with ClearTax expert. This will be a paid service. You can also get advisory on best tax saving option. A fully online service no visit to tax consultant office is required. Multiple paid service option based on your requirement. Clear Tax is a registered e-Return Intermediary with Income Tax Department. You can get income tax related knowledge from the blog section. H&R Block is one of the largest websites that offers income tax filing service. You can hire an expert for income tax filing from this website. The features and benefit of H&R Block are given below. Dedicated in-house Tax experts for smooth filing experience. An intuitive online application for filing ITR. Auto data extraction and reading of Form 16 and filing return. Tips and helpful hints to guide you in filling up your details in the application. Secured cloud storage facility for your documents and past returns. Various online tools for tax calculation. Other income tax services such as Tax Scrutiny Assistance. Taxsmile is one of the best websites to prepare your return and e-file without any hassles. Taxsmile offers free as well as paid services. Apart from tax filing Taxsmile also offers other tax-related services. Key features and benefits offered by Taxsmile are given below. Simple Question answer based free facility for filing return. No tax jargon, no complicated tax sections. Paid facility for filing income tax return. Added service like refund tracking, document vault, post filing support etc. Registered e-return intermediary by Income Tax department. TaxSpanner is most trusted income tax return e-filing site in India. TaxSpanner only offers paid service to its users. The benefits offered by TaxSpanner are given below. The interface of the site is easy to understand and the return preparation is pretty simple as well. Pre-filled ITR for self e-filing. Premium ITR filing reviewed by a chartered accountant. Resolve your tax queries and get tax advice on financial matters as and when needed. Facility to follow up with the IT department. Quicko is leading income tax return filing website of India. Quicko only provides paid facility for filing income tax return. The key features and benefits offered by Quicko are given below. Expert assisted Income tax e-filing. Dedicated support via chat, email or call. Special NRI plan for income earned outside India. FAQ section for understanding tax related queries. MyITReturn is leading tax filing website registered with the income tax department as an e-return intermediary. The features and benefits of MyITReturn are given below. Easy question answer based interface for filing income tax return. Income tax notice assistance services. Calculate advance tax estimator via using a tool. Advance tax filing related help. Free and paid facility for filing income tax return. Tax Guru is most popular blog on tax. You can get free help and latest news about income tax, GST and all other taxes. Tax Guru also provides various useful tools like Income tax calculator and Forms related to in excel format. Tax Guru is complete tax solution. Chartered Club is online content platform which shares valuable information about various taxes which are levied in India. Chartered Club also offers Q&A platform to ask queries related to taxes. You can also purchase various e-books available on the site. ApnaPlan is online personal finance blog that shares lot of income tax related information. You can also calculate your income tax by using income tax calculator given on the site. It is very good blog related to personal finance. Income Tax India is obviously best website for getting help on filing income tax return. You can get offline utilities for filing income tax return on this website. You can also get tax tools, calculators, tutorial, FAQ and tax calendar on this website.